Do we have access to citation management software, such as EndNote or RefWorks? 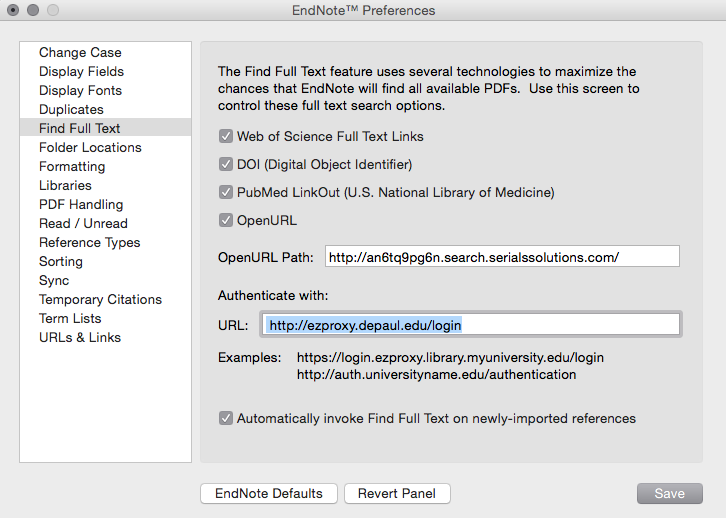 EndNote includes a Find Full Text feature that allows it to locate full text from DePaul Library resources when available. In order to enable this feature, there are settings that must be configured within EndNote. If you are a user of Firefox, there's also a very handy free browser extension called Zotero. Zotero allows you to store and organize citation information, generate formatted bibliographies, and supports a cite-within-the-document feature for Microsoft Word and OpenOffice. For support and documentation information, check out Zotero's support page on their website.